« Happy Tax Freedom Day! Maybe Obama’s not so bad on Second Amendment issues. 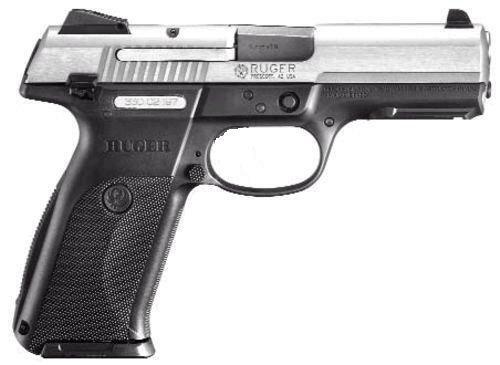 His Administration has contracted with the folks at Ruger to produce a special pistol in honor of the government workforce. This new gun will be called “The Bureaucracy Special.” The only downside is that it doesn’t work and you can’t fire it. Any law… ANY LAW which makes it more difficult for a law-abiding citizen to obtain whatever firearm(s) he or she desires is contrary to the Second Amendment protection stated in the Bill of Rights. Furthermore, it is contrary to the intention and the expressed meaning of the amendment as stated in dozens of pages of documents from the ratification era debates in the Congress. True, they had no concept of machineguns or cartridge weapons in general; but they understood that an armed citizenry was the ONLY protection that a populace could have against it’s potentially tyrannical government. There can be NO QUESTION that in the ratification of the 2A that the people approving it and the states ratifying it understood that the citizens of the United States MUST have access to modern military arms and SHOULD be trained and able to use them to protect the nation and the Constitution that they just worked so hard to produce. Bans on ‘assault weapons’ and handguns is a DIRECT, BLATANT assault on that 2A and the Bill of Rights that the Congress produced. I will afford that NICS background checks are not a bad thing. But if a person passes that check forcing them to wait any length of time thereafter to take possession of their new property is an infringement of not only their 2A protected rights but also their 5A rights (no deprivation “of life, liberty or PROPERTY without due process of law”). Waiting periods are 100% unlawful in the eyes of the Constitution. Only as the ideas of socialism and Soviet-style communism seeped their nasty way into American society thru academia and into our political system did the ideas that an armed populace being a bad thing, which is spewed from statist sewers, begin to gain traction. It began in the nineteen twenties and has been forced down American’s throats ever since. The police in urban areas are indoctrinated to believe that anyone other than THEM who possesses a firearm is committing is a crime, regardless of what the law of the state or city ordnance happens to be. Likewise, it is forced upon children to believe that it is the gun, a tool identical to a screwdriver, not the criminal who is at fault for murders, rapes, robberies, etc. The mass media is complicit in this indoctrination and distortion of the facts–the truth. A) It is unlawful for a convicted felon to possess a firearm or ammunition. This verification (except for the purchase of ammunition) will be made via the FBI’s National Instant Check System. This includes the purchase of automatic weapons. B) To use or possess a firearm in the commission of a crime is punishable by a mandatory twenty-five years in a state or federal prison. The possession of ammunition during the commission of that crime shall carry an additional MANDATORY five years for each individual piece of ammunition. This law shall not be construed to reduce sentencing for other charges related to the offense having been committed. C) It is not unlawful in the United States or its Territories for a citizen who is otherwise not prohibited from owning firearms to keep those firearms in his or her home, privately owned vehicle or on his or her own person for the purpose of personal protection, hunting, sport/recreational shooting or any other legitimate reason. The Legislature shall provide protections for individuals who use a firearm in defense of life where serious injury, bodily harm or death is reasonably believed to be imminent. That takes care of every conceivable scenario. It’s illegal, you break the law and you go to jail. Thousands of laws broken down into three, simple statutes. These laws do not violate 2A , 4A or 5A; they provide for prosecution for the criminal misuse of firearms, which is the only powers granted to the government by the Constitution with regard to firearms. We have some good laws already, and a lot of bad ones, too many laws in total. Guns in the US are one of the most regulated items on the planet. Too bad we don’t enforce the laws we have better. I never have figured out why we don’t. I agree with you … Lawmakers could do a far better job if they based laws on facts rather than fear. Attempting to regulate lead, add taxes to ammo, require unworkable safety features, electronic locks that haven’t been invented, regulation by bullet diameter, etc. All appear to be fear based, political, and aimed at restricting 2nd amendment rights. Laws making it impossible to defend yourself by for example, requiring that you not be able to keep a gun loaded while in your own home, not being able to carry one in your own car, etc. also are obviously aimed at restricting 2nd amemdment rights. It’s also a shame that the laws that anti-gun groups push impact the weakest people in society, discrminating against women who are more likely victums of vilence, etc. The good news is that shootings are decreasing here in the US. As I remember, in the years following the ban of guns in the UK violent crimes were up about 70%. Bradley, you are right, I said I don’t really follow the gun law debates. All I meant to say was that I believe there can be reasonable gun laws without affecting second amendment rights if we take the politics out of the debate. At the end of the day, I would just prefer to never hear of another shooting in an ELEMENTARY SCHOOL (like I heard about this week). This does not happen in the UK. But I doubt it happens in Canada either, where they have lots of guns, so the issue is bigger than just guns. The law aready requires a background check for a criminal record. I think that is a reasonable gun law. It’s fast and easy. It works well. I think that the reason gun owners oppose laws like the ones you are referring to is that the implementation of those laws, by design or not, is always draconian. For example, let’s look at your own suggestion… Lets make it illegal to buy a 2 shot semi-automatic shotgun, but OK to buy an 8 shot revolver, at a gun show. The shotgun would be hard to hide, very unlikely to be used in a crime; while an 8 shot revolver would be a much more logical choice for a criminal. What was your logic in descriminating against semi-autos? I see little logic in allowing the deadlier, smaller revolver. Would it be ok to buy the shotgun at a Tupperware show? The prior set of draconian laws put in place by Clinton relied on a list of banned and restricted guns. That list was compiled by lawmakers looking at picures of guns. The ones that looked “dangerous” were banned. Attachments and or guns having attachments that looked “mean” were banned. It made little sense. One example: Since you could not manufacture a gun with a magazine designed to hold say 15 light rounds, people purchased higher powered pistols with the obligatory 10 round magazine (plus on in the chamber) for 11 highly deadly shots vs 15 less deadly shots. Of what use was that? on April 14, 2011 at 10:12 am Sean L.
Hey Dan, the government gun works, alright, but only when pointed at someone in the private sector. One could use that EXACT argument with guns. If someone has the capability to murder 25 people on a campus, you have to anticipate they may do it. So why not make it harder for him to get a gun? Just like Iran and the nuke. Well, it turns out that *I* fall on the side of this issue that believes it isn’t black and white. I like guns, I used to shoot them when I was younger growing up in “real america”, in the midwest. But I don’t think that reasonable gun laws are bad. And by reasonable, I mean you shouldn’t be able to walk into a gun show and buy a semi-automatic gun without a background check. I just think it is ridiculous that any attempt to make it harder for guns to get into the hands of dangerous people is met with such incredible resistance. Honestly, I don’t follow gun issues that much because they don’t really affect my life. I don’t own a gun now, but my wife and I have considered getting one. But if we were to get one, I don’t really mind if I have to get a background check or wait 24 hours to pick it up. And by background check, I mean I’m ok with them checking if I have a CRIMINAL RECORD. The only reason people could honestly be against such simple things is that they want criminals to continue to have extremely powerful guns with huge clips or they think it is a slippery slope towards more gun laws. If it is the slippery slope argument, which I suspect, then it comes back to our fundamental distrust about govt. And we get back to my concern that we keep focusing on these distractions rather than focusing on how we can make our govt more accountable. Lets start with some transparency laws, so we know who is paying for the legislation (is it the NRA or Ruger? Is it a group of people who have lost loved ones to gun violence?). We should get to know who they talk to and who gives them money. And who pays for their campaign ads and stuff. But I think they’d rather have us keep arguing about guns, abortion, taxes and health care. If we had had more transparency, I bet we would have gotten a better health care bill. Dan – why are you picking on Ruger? This is a fairly balanced asessment of Our Dear President’s past, stated positions on gun control. I don’t know where *you* fall on these issues, but it’s pretty disturbing to see the Chief Executive toeing the bi-coastal. large-urban, progressive line on firearms even in a moderate way. Personally, I don’t consider semi-auto bans, handgun bans, licensing for simple ownership – not concealed-carry, etc., etc. ‘reasonable’, ‘moderate’ or ‘common-sense’. Also, I don’t care if he doesn’t plan to pursue gun control now (because you can be fordamnsure he will if he gets elected to a second term) because he **believes** in it – even the debunked stuff about concealed carry leading to “blood in the streets”. The President’s own statements support the idea that he would pursue an agressive gun-control strategy **if he had the votes**. It’s up to those who value their freedom to make sure he never has the opportunity. Ben, not hype, you are just out of the loop.